We hear this phrase so often that it has just become part of the background noise of life. However, in youth sailing, sponsorship has very different connotations which are related to how we view amateur status in the sport. Sailing in the Club 420 class is intended to provide a level “playing field” for all interested youth on which to create and build sailing skills, sailing knowledge and safety, lifelong friendships and social networks. The class views payment to any participant in a Club 420 sponsored events (over and above necessary expenses) as not aligning to the mission of the class and the goals of the youth sailors. Additionally, most of the sailors in the Club 420 class will go on to some level of college racing. In doing so, they become subject to Inter-Collegiate Sailing Association (ICSA) rules, individual college rules and in many cases, NCAA regulations. 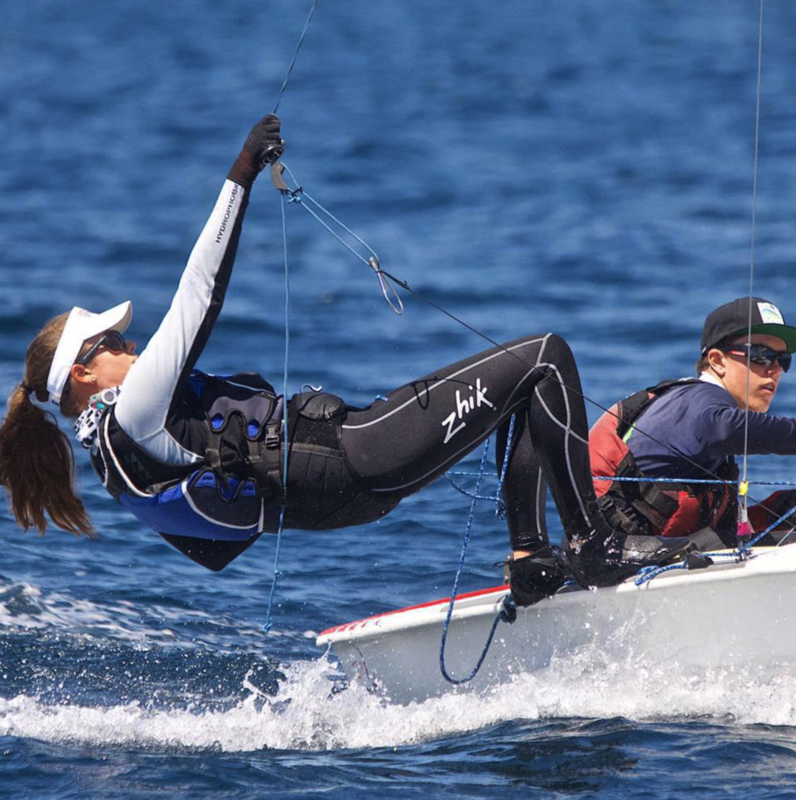 To be perfectly clear, accepting monetary compensation for participation in a Club 420 event could jeopardize a youth sailor’s eligibility to pursue college team sailing. How do we define amateur sailing? As most of the sailors in the Club 420 class go on to some level of college racing, let’s look at how the NCAA defines amateurs. An amateur, as defined by the NCAA, is someone who has not profited above his/her actual and necessary expenses or gained a competitive advantage in his/her sport. There are many details available on this definition in the NCAA By-laws (look for Bylaw 12), but the intent is to put education first, above sport, and provide a level playing field for all competitors. As you progress in the sport, you will find there are opportunities to “professionalize your approach”. In doing so, you may put your future sailing in jeopardy – either in college or even in the youth events in which you currently participate. While you can have necessary expenses covered to train and race; no member of a Club 420 team should receive compensation for their participation in a Club 420 regatta. The Class strongly urges you to remain an amateur and will continue to look to US Sailing, College Sailing (ICSA) and the NCAA for guidance in order to keep our events on that “level playing field”. Now let’s go back to your previously scheduled program. See you at Mid-Winters! on behalf of the Directors of the Club 420 Association.